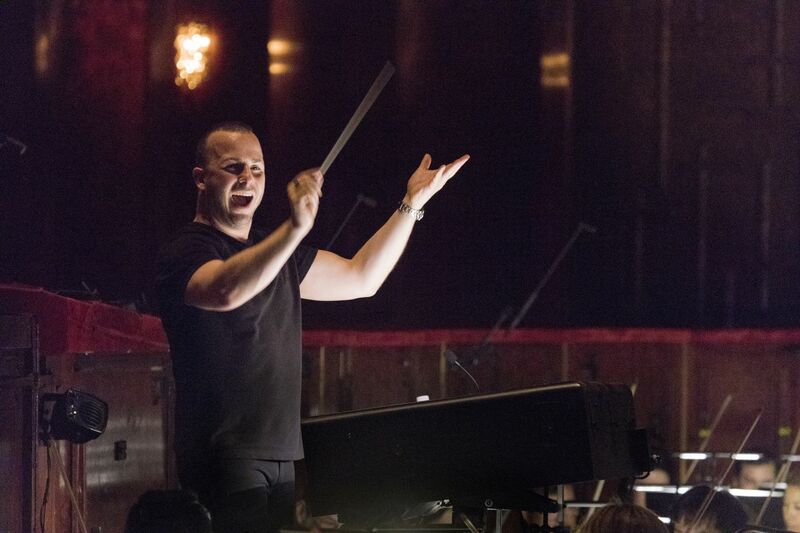 It was announced Monday that Philadelphia Orchestra music director Yannick Nézet-Séguin will visit residents of the Pennsylvania SPCA’s Erie Avenue headquarters Wednesday evening. Now the SPCA and orchestra say the playlist has been set that he and his partner have created for animals there. The playlist he and Pierre Tourville curated will be played for the dogs and cats on an audio system at the SPCA — and your pet can hear it, too, on Apple Music. Nézet-Séguin and Tourville have shared their lives with cats who make occasional appearances on their social media pages. Some of the music on the playlist is not of the soothing kind. The big audio surprises in Mahler and Bruckner, for instance, are not something you’d want to spring on a cat. Chopin Nocturnes? Sure. The opening to Also sprach Zarathustra, the music used in 2001: A Space Odyssey? Probably not. For the curators’ part, the pieces were chosen with a certain significance in mind. Additionally, she said, the music is turned off during the night when no one is there. Quatuor Ébène, string quartets by Debussy, Ravel and Fauré. Renée Fleming and Christoph Eschenbach, Schubert songs. Nézet-Séguin and the Philadelphia Orchestra, pianist Daniil Trifonov, Rachmaninoff Piano Concerto Nos. 2 and 4, and Bach Violin Partita No. 3 arranged for piano. Nézet-Séguin and the Philadelphia Orchestra, Mahler Symphony No. 5. Nézet-Séguin, Chamber Orchestra of Europe, Mendelssohn Symphony Nos. 1-5. Nézet-Séguin, Chamber Orchestra of Europe, Mozart Le nozze di Figaro. Herbert von Karajan, Berlin Philharmonic, Strauss Also sprach Zarathustra and Don Juan. Georg Solti, Vienna Philharmonic, Parsifal. Seong-Jin Cho, Debussy piano works. Nézet-Séguin, Orchestre Métropolitain, Bruckner symphonies. Nézet-Séguin, Philadelphia Orchestra, The Rite of Spring and Stokowski orchestral transcriptions. Rossini, Cats’ Duet (Duetto buffo di due gatti), from Icon: Elisabeth Schwarzkopf. Nico Muhly, “Clear Music” and other works. Hilary Hahn, Royal Liverpool Philharmonic Orchestra led by Vasily Petrenko, violin concertos by Tchaikovsky and Higdon. Andreas Ottensamer, et al., Brahms Clarinet Quintet.